This is a standard generic charger for Nikon EN-EL2 batteries. These batteries are used in Nikon CoolPix 2500 3500 SQ and few other cameras. It has fully-automatic charging circuitry with automatic shutoff when the battery is fully charged. 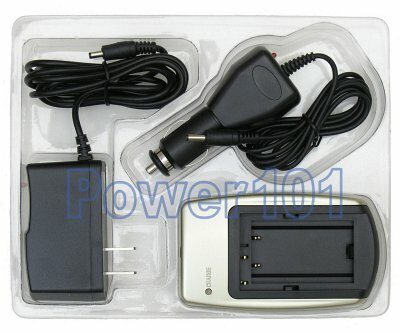 This charger can also charge FujiFilm NP-40 and NP-60 NP-120, Kodak Klic-5000 Kyocera BP-1500, Olympus Li-20B Panasonic CGA-S004 S301 VW-VBA10, Pentax Li-2 Li-7, Samsung SB-L1037 and Toshiba BT-3 batteries. 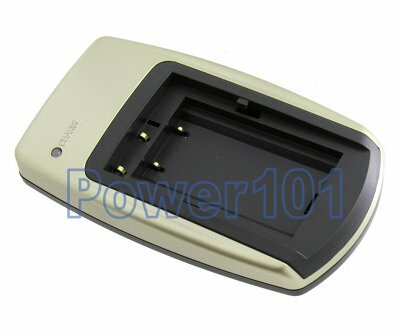 The plate is designed to fit either of these batteries and no plate switch is needed.